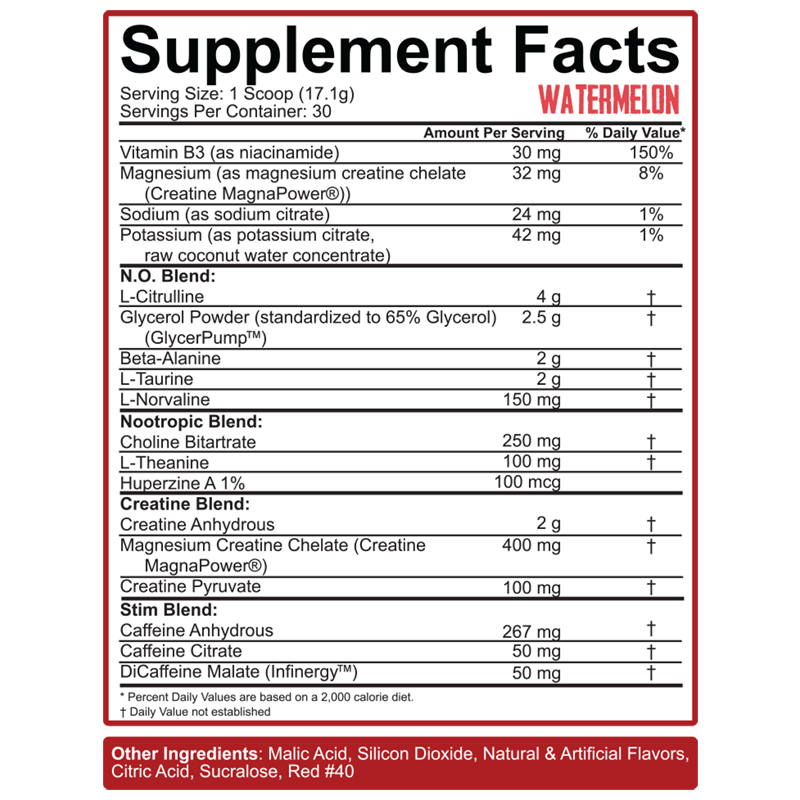 Kill It® Reloaded is bound to be your new old favorite pre-workout.. Kill It® Reloaded attacks the pump two ways – by boosting nitric oxide and by forcing water into the muscles for huge, insane pumps! 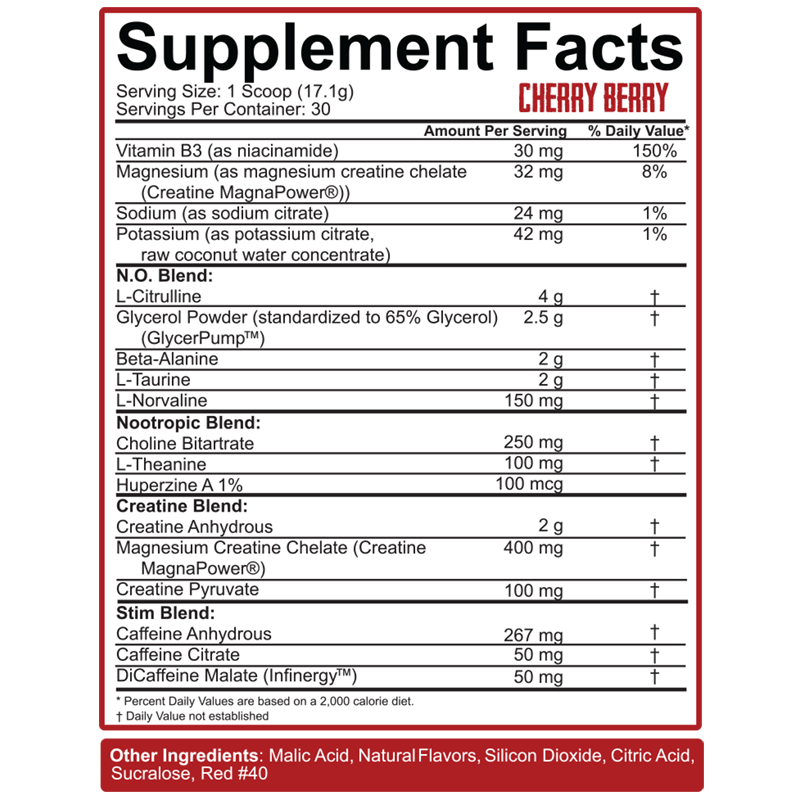 With 4 grams of L-Citrulline – the most effective nitric oxide booster available, 150 mg of L-Norvaline for an even bigger nitric oxide boost, and 2.5 grams of GlycerPump™, the new leader in Glycerol supplements for super-saturated, water-based pumps, dramatically improved hydration, more stamina, and no clumps! Kill It®Reloaded doesn’t stop there – are you kidding? There’s 2 grams of Taurine, which works synergistically with GlycerPump for pumps that will rip your shirt sleeves right off!